A web design project for a client based on the Gold Coast. 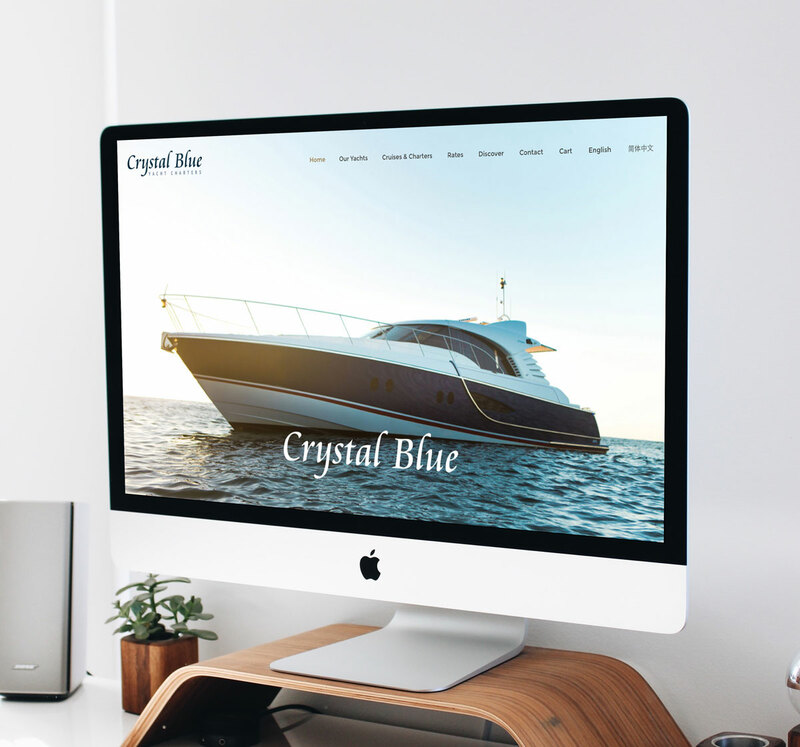 David from Crystal Blue Yacht Charters approached us to design and build an ecommerce, multilingual website to showcase their two yachts, Crystal Blue and Crystal Blue Xpress. With some great images to use, we were able to capture the luxury and elegance that this business emanates. We used a solid navy throughout the site, which pairs nicely with the touches of gold used for headings and small features. The site needed to allow for online bookings for their Sunset Cruise and for the customer to be able to purchase gift vouchers. We handled all aspects of this, including setting up a payment gateway, SSL certificate, as well as full set-up of WooCommerce, including the booking system and product attributes. The Crystal Blue Yacht Charters website needed to be available in other languages. We set up a fully multilingual site and applied Chinese translations throughout. Crystal Blue Yacht Charters is a family business that owns and manages two remarkable motor yachts. Reviewed as the # 1 luxury charter operator on the Gold Coast and Brisbane, they are ready to work into all budgets to create unforgettable experiences.